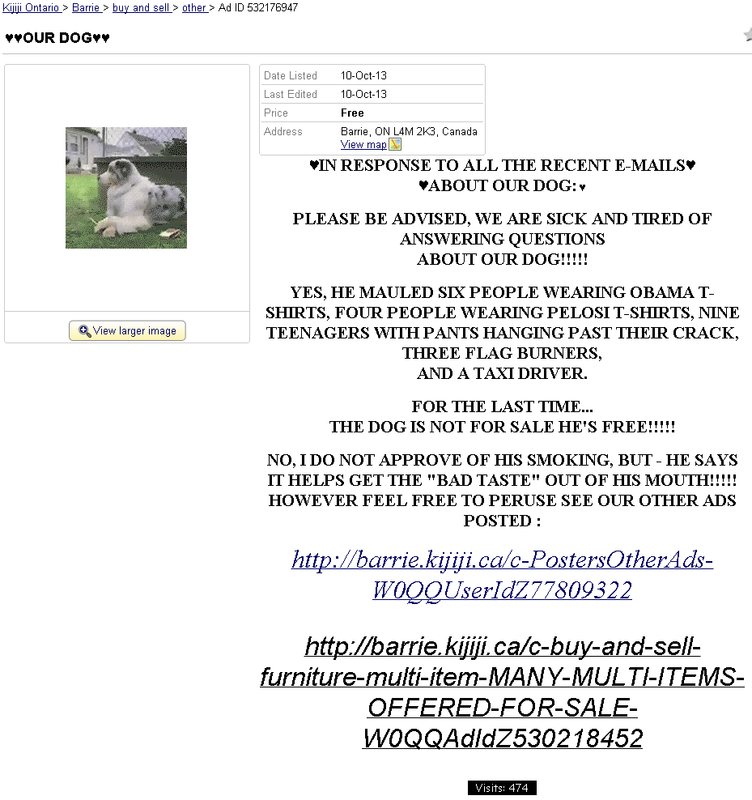 Twitter user @stacymaee says "one of the most bizarre kijiji ads ive ever seen." She's obviously not been to yousuckatkijiji.com, but she's on to something. Thing is, it's obviously a rip-off of an old American ad. Obama t-shirts? Nancy Pelosi? Flag-burners? What Canadian in Barrie would write such a thing? If you're going to steal an ad to get attention, why not pick one that might resonate here? 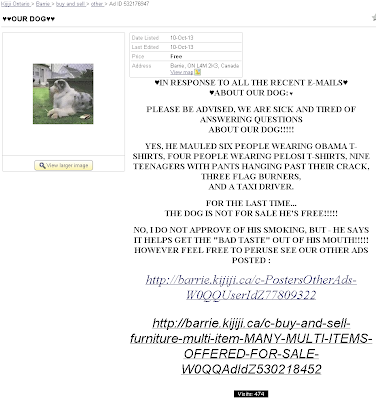 THE DOG IS NOT FOR SALE HE'S FREE!!!!! 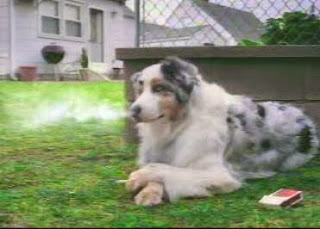 NO, I DO NOT APPROVE OF HIS SMOKING, BUT - HE SAYS IT HELPS GET THE "BAD TASTE" OUT OF HIS MOUTH!!!! !